The 930-berth Viking Sky at Montreal, one of what will eventually be a class of sixteen ships. Eight more cruise ships were ordered last week, bringing the total now on order to 100 according to Seatrade Cruise News. Viking Cruises ordered six 930-berth ocean-going cruise ships from Fincantieri for delivery between 2024 and 2027. In addition, Ponant ordered two more of its 184-berth “Explorer” class expedition ships for delivery in 2020. 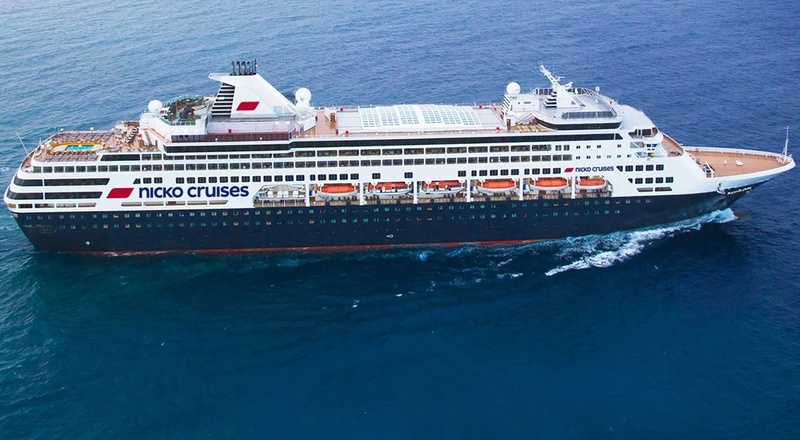 And Genting Hong Kong meanwhile announced the move of its first “Global” class cruise ship order from Star Cruises to its more upmarket Dream Cruises brand. As MSC Cruises’ new MSC Seaside, first of a new class of cruise ship, heads for her christening by Sophia Loren in Miami next week, we have a look at her on board offering. Montreal meanwhile reports a record cruise season, with 114,517 visitors in 2017. And Maersk Line’s December 1 acquisition of Hamburg-Süd will see the latter’s container ships leave the passenger trades. Last week, on fairly short notice, Cunard Line’s Queen Mary 2 added a new port of call to her collection when she made her first visit to Sept Iles, on the Quebec North Shore of the Gulf of St Lawrence. A former fur trading centre and now an iron ore port, Sept Iles has been going after cruise business since opening its own cruise terminal at its Quai Monseigneur Blanche berth in 2010. Elsewhere, Norwegian Cruise Line has announced that it will be moving its New York ship, Norwegian Breakaway, to the Baltic next summer and then to New Orleans at the end of 2018. Viking Cruises, meantime, has announced that its fifth ship, Viking Orion, will be sent to cruise in Alaska in 2019. When Viking Ocean Cruises introduced the 930-berth Viking Star (above) in 2015, it was projected that the line could build up to six sister ships of the same design. But with last month’s order from Fincantieri for two more plus an option to build another two, this could take the Viking Ocean fleet to ten ships by 2024. In other news, Viking is introducing resident historians to lecture on board its first three ocean ships. And as time passes one of Carnival Cruise Line’s early cruise ships has become the first of the line’s newbuilds to go for scrap.